John Higgins and Mark Williams will for the first time in their remarkable careers go head to head for the Betfred World Championship title. After coming through to the professional ranks together in the early 1990s, both have tasted glory at the Crucible and enjoyed spells at number one in the world rankings. But a World final showdown between two of snooker's great names failed to materialise during the years perceived as their heyday, and both have in more recent times doubted their own ability to compete at the top. 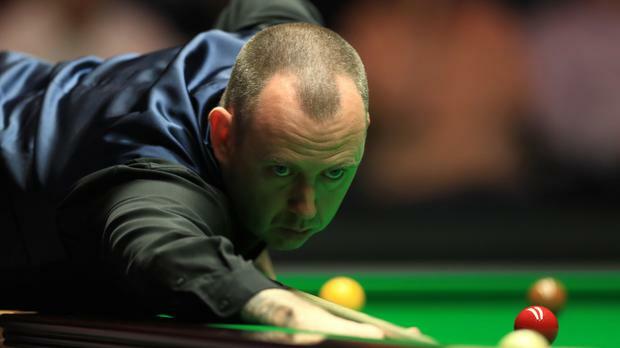 Williams failed to even qualify for the World Championship last year, and instead took his caravan to the Somerset coast while Higgins was enjoying a run to the final in Sheffield, suspecting it may have been for the last time. Yet on Saturday, Higgins earned another visit to the title match by fending off Kyren Wilson 17-13 and Williams capped his return from the depths with a nail-biting 17-15 victory over Barry Hawkins. They have fought out three previous Crucible semi-finals, with Williams getting the better of Higgins in 1999 and 2000 but losing out to the Scot in 2011. Now for the big one. "He'll be going for a third one, I'll be going for a fifth," Higgins said. "He's bald and I'm grey so it'll be a mental final." For the first time since the tournament moved to Sheffield in 1977, two men in their forties will duke it out for the trophy. Higgins is 42 and Williams 43. Williams has not appeared in a Crucible final since landing his second title in 2003, which came three years after his first triumph. Both he and Higgins emerged from snooker's 'class of 92', with Ronnie O'Sullivan also climbing onto the tour in that year. Higgins said he would love to match O'Sullivan's haul of five world titles. "He's the best player ever in my eyes and if I got to the same amount of world titles it would be an amazing feeling," Higgins said. The two-day final will be the seventh he has contested here. His emotions poured out in a television interview moments after crossing the winning line against Wilson, barely holding back the tears. He first won this title in 1998. Higgins said in a later press conference: "I keep using the word 'proud'. I'm proud 20 years later, after I won my first one, that I'm sitting here ready to compete in another one. It's a fantastic feeling." Asked if he feels like the favourite to carry off the title, Higgins said: "No. I know it's going to be another mammoth final. It'll be a great match I'm sure." At that point Higgins did not know whether it would be Williams or Hawkins awaiting him. He would surely have been delighted to see the second semi-final running until nearly midnight, creating the possibility of his opponent being weary when they walk out for the final's opening session on Sunday afternoon. Williams and Hawkins were both severely twitchy in their final session. With the stakes high, the strain was obvious and Hawkins was suffering. Williams offered sympathy at one stage but showed no mercy. Hawkins said: "That was brutal. We were both twitching all over the place. Your mind starts playing tricks with you. "It was an enjoyable match, just not an enjoyable way to lose in the end. "I fancied getting to the final but tonight I probably let myself down a bit in the end."